It is no surprise that Rockstar Games' latest release, Red Dead Redemption 2, has already garnered heavy praise and sales within the first month of its release. 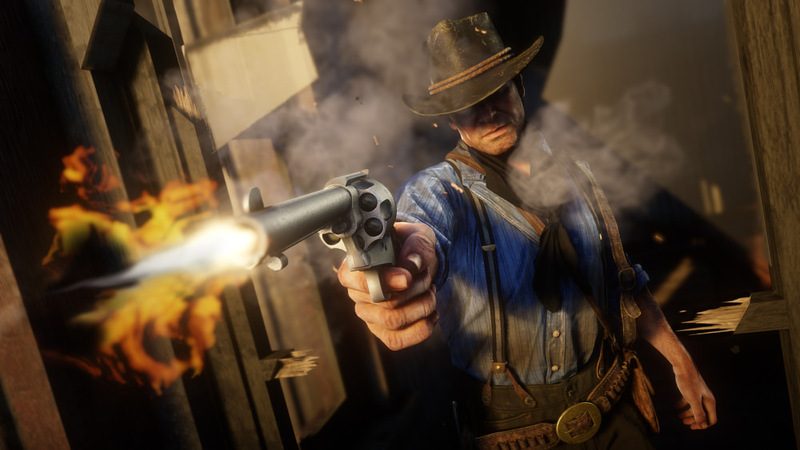 The highly anticipated prequel to the original Wild West action-adventure game, Red Dead Redemption, broke industry records with a three day, $750 million haul right off the rip, and things have certainly not been slowing down. 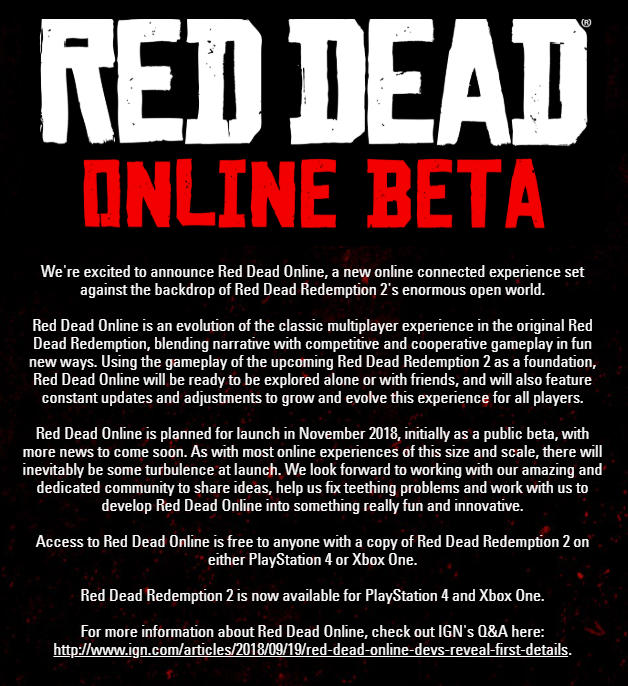 Rockstar Games has announced previously that 'Red Dead Online' would first release as an online beta, and anyone who has bought the game before, or after, release and has an online membership (PS Plus or Xbox Live Gold) will have immediate access to the game. You will find a lot of nonsense on the internet when looking for a specific date in regards to the beta, but the game's developer has left an announcement on their website concerning the upcoming beta. Rockstar Games still has just over 3 weeks until the end of November, but until we hear more information, that's all we have to go by. Whether we think the 'Red Dead Online' release will stick to the November time-frame or not, only time will tell, but after playing the single-player it's surely to gain a crowd.